We all know that a loft conversion can seriously boost the value of your home – by up to 20% in fact! But the benefits of converting your loft don’t have to stop there. It can be a fantastic money earner and even help to get your mortgage paid off faster. Here’s just a few ways to make money from your loft conversion. If you have a large loft space, converting it into a self contained studio to rent could bring in a sizeable additional income to your home. The average monthly rental value of a studio flat in London is £900, but this differs between boroughs. For this to work, your loft should have space for a bathroom and kitchenette, and you must consider ease of access for the tenant. Many young professionals only require somewhere to stay in the city Monday – Friday, so it’s even possible to keep your home private on weekends. If you don’t have the luxury of space, or don’t want the commitment of renting out your space long-term, short-term rentals through AirBNB are another great way to make money from your loft conversion. London and the surrounding areas welcome tourists year-round, all looking for a place to stay. 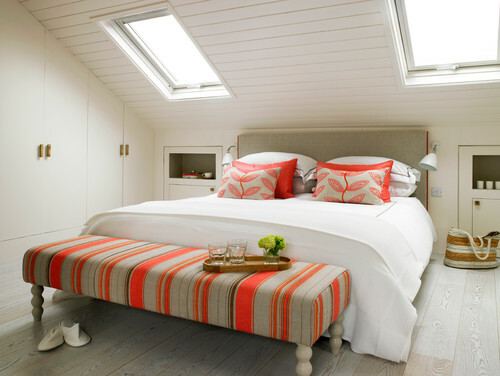 Create a stylish, comfortable bedroom in your loft and it won’t be long before you’ve received your first booking. The best part? Total flexibility – choose exactly when you want to welcome guests and earn some extra cash without being tied down to a contract. If you’re willing to open up your home to a temporary family member, renting to an international student can be very rewarding – both socially and financially! International students generally come from wealthy families and look to rent somewhere a little more luxurious than typical student digs. They have a reputation for being wonderful tenants, and if you have teenagers in the house this could be a great friendship opportunity for them. 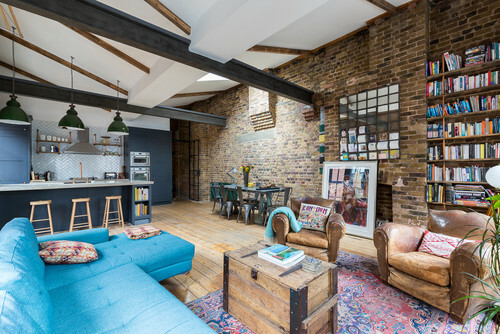 In London, demand for student accommodation is exceptionally high, so a newly converted loft at a competitive price is likely to be snapped up fast. Renting isn’t the only way you can make money from your loft conversion. Ever had an idea for a business, but not the space or time to execute it? Convert your loft to an office and you’ll have the perfect place to work from with zero distractions. This way, you can start your business without having to worry about the rental costs of an office space in the city, which can be a killer! Do you have a special talent or skill that others want to learn or pay for? Whether it’s painting, yoga, music, beauty therapy, or…well, anything – turn your loft into a studio and you’ll have a space to start accepting paying clients, rent free. Don’t have a skill you can monetise? Not a problem; it’s easy to rent out studio space as creatives are always looking for somewhere to work. For instance, a loft conversion with plenty of natural light could make the perfect studio for a freelance portrait photographer!